She said the state of data completeness, validity, consistency, timeliness and accuracy made it applicable for a specific use; affirming that data informs policy formulation; which would go a long way to help government to improve the quality of life of the citizenry. “We must ensure that the data challenge in the country is a thing of the past,” she said. Dr Bediako was speaking in Accra during a panel discussion on the topic: “Data Collection for Health” at the ongoing 67th New Year School and Conference on the theme: “Promoting Universal Health for Sustainable Development in Ghana: Is the Information, Communication and Technology (ICT) the Game Changer”. She said the day to day activities of the health sector generated lots of data, however, personal records generally has been paper based, making it difficult to compile the individual patient data from face to face medical encounters to help in planning, monitoring and evaluating of the health services. “But again the real question is how adequate are these sources? Several people have pointed out some of these concerns about the inadequacies of the existing sources; especially with the routine health information systems, not only in Ghana but in much of the developing world,” she said. “The data are not being analyzed and used effectively for decision making and the data quality is also in question. “Data collected are generally believed to be incomplete, inadequate and not timely and as a result they are not usually used for the purpose for which it is to serve,” she said. “There need to be substantial improvement in the computer hardware, software and telecommunications infrastructure at all levels and facilities; if we will be able to get the kind of quality we need. “When we get to the lowest point, it means all these facilities should also be equipped to compile the data systematically so that transmission can be received,” she said. “The Ghana Health Service (GHS) has the health management information system alright, but when it comes to birth and death the data, it is sent to the Birth and Death Registry,” she said. Mr Anthony Amuzu Snr, Acting Deputy Government Statistician (Operations), said ICT can change so many things, adding there is a lot of data available at the Ghana Statistical Service (GSS) which could be further analyzed to inform policy decisions in the health sector. He said the GSS would, therefore, like to encourage researchers who would want to collaborate with it to send in proposals. Mr Amuzu Snr gave the assurance that the Service would continue to collaborate with agencies and institutions to build capacity in the use of ICT for its activities to enhance data production and dissemination. Mr Dominic K. Atweam, the Head of Technical Division of the Ghana Health Service, said ICT provides a strong platform for information exchange, allocation and reallocation of services and is a key component for strengthening health systems. Mr Richard Y. Adiase, the Head of Sales Operations of Airtel Ghana, called for the synchronization of data collection by the GSS and the GHS to avoid duplication of functions. The monthly change rate for December was 1.1 percent, compared with the 1.0 percent rate recorded for November 2015. Government Statistician Philomena Nyarko said at a news briefing that inflation rate for the food and non-alcoholic beverage group recorded a 0.1 percentage point rise to 8.0 percent compared to the 7.9 percent inflation rate recorded in the previous month. The inflation rate for non-food group also increased form 23.2 percent in November to 23.3 percent in December. “The main price drivers for food inflation rate were vegetables and mineral water, soft drinks, fruits and vegetable juices,” said Nyarko, adding that transport (27.0 percent), Recreation and Culture (26.9 percent), and Education (26.8 percent), etc. were the main price drivers for non food group. Nyarko noted that the relatively stable inflation for non-food was due to the stability in the foreign exchange market between October and December 2015, while the food inflation was due to the low food harvest. Enditem. 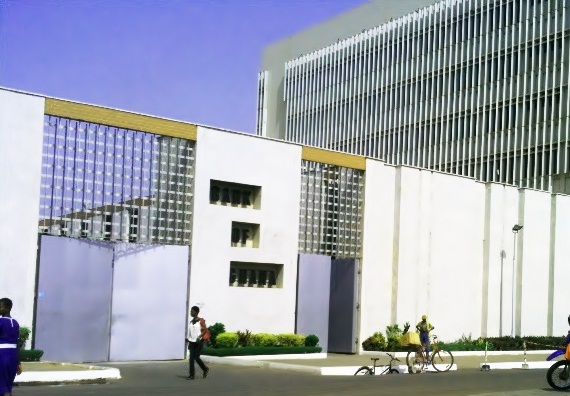 Data released by the Ghana Statistical Service (GSS) indicated the economy was estimated at 38.00 billion Ghana cedis (10 billion U.S. dollars) during the period. Baah Wadieh, Deputy Government Statistician, said agriculture sector grew by 3.2 percent while industry grew by 3.6 percent. The statistician noted that the collapsing world gold prices brought about negative growth in mining and quarrying, as some leading mining firms are closing their operations. Declines were also registered in hotel and restaurants sector. The services sector, which grew at 4.9 percent, saw Information and Communications recording the highest growth rate of 12.6 percent, followed by Public Administration and Defence, Social Security Education, and Health and Social Work. Filed under: 2015 compared, 3.9 percent, Accra, CAFS, Dec. 24, during, Ghana Statistical Service, Ghana?s economy, Ghana's Economic Growth, grew 3.6 percent, GSS, latest statistics, Q3, second quarter, Showed, slows down, Special, third quarter, Xinhua, year-on-year growth, Year-on-Year? Ghana’s consumer inflation sees 0.2 percentage points rise in Nov. The monthly change rate for the month under review was one percent compared to the 2.7 percent recorded for October 2015, the GSS added. The Ministry of Gender Children and Social Protection on Tuesday spelled out qualification criteria for targeting the process and selection of beneficiaries of the Livelihood Empowerment Against Poverty (LEAP). LEAP was introduced to support extremely poor households to meet their very basic needs for survival, which is contributing significantly to the wellbeing of beneficiaries. The LEAP Management Unit (LMU) of the Department of Social Development depends on scientifically codified information based on geographical targeting of a region, district and community. “LEAP selection is therefore based mainly on a poverty map of Ghana generated and provided by the Ghana Statistical Service and not the District LEAP initiative poverty ranking,” Mr Abraham Asare, Communication Officer of the Gender Ministry told the Ghana News Agency in an interview in Accra. He said the Gender Ministry would continue to educate the public on the qualification criteria to ensure that the public is not infused with misinformation to develop misconception about the selection criteria. Mr Asare noted that the selection criteria also takes into consideration the poverty map, which ranks the regions, districts and communities according to their poverty status. He said the LMU under the Ministry of Gender, Children and Social Protection in addition to the poverty map, also targets older persons, persons with disabilities and orphans and vulnerable children. He said it also involved the administration of Proxy-Means Test questionnaire at the selected households by enumerators, which is classified as a major step in the targeting process. Mr Asare said data from the questionnaires are then entered into the LEAP computerised data management system and scored to determine, which households are eligible or qualified for the programme. “Because of these rigorous processes in selecting geographical areas and beneficiary households, a study by the World Bank in 2010, identified the LEAP programme as the most effectively targeted social protection programme in Ghana. “The LEAP Management Unit does not circumvent this time-tested targeting process,” he said. Mr Asare noted that the 2015 plan for increasing LEAP beneficiaries is to cover all districts by December. “All regions, districts and communities that qualify for LEAP shall be placed on the programme after the targeting processes have been duly complied with. “The LEAP Management Unit would like to assure the public that the Ministry is working in the interest of all Ghanaians,” he noted. He said LMU is linking LEAP benefits to complementary services/programmes promoting income generating activities and support better livelihoods. Mr Asare noted that a research conducted by the North Carolina University of the US and ISSER of the University of Ghana in 2012, indicated that the LEAP programme has improved the living conditions of the beneficiary households. Without mentioning those OD free communities, he said the practice was one of the key sanitation problems in the Region, but indicated efforts were being made to mitigate the situation. Mr. Amevor was speaking at a media training workshop on the “Menace of Open Defecation” organised by UNICEF and the Environmental Health Services Department of the Ministry of Local Government and Rural Development (MLGRD) in Cape Coast. The workshop, attended by about 20 media practitioners from across the Region, was aimed at building participants’ capacity to report appropriately on relevant and released issues in the Region. Held in line with World Toilet Day celebration marked on November 19, it was also to help community radio stations in particular, to create awareness on issues of open defecation in their communities. Mr. Amevor indicated that efforts to enforce the sanitation bye laws especially prosecution of sanitation offenders was being hindered by political interferences, citing an instance where a District Chief Executive paid the court fines for 10 convicted sanitation offenders. He said some environmental health staff were also threatened with transfer from some persons in ‘high authority’, while Assembly members who were supposed to help in maintaining sanity in the various communities were subverting the efforts. Despite the challenges, he noted that efforts such as Open Defecation free initiatives and other sanitation related programmes were being implemented in the Region, and called on all stakeholders to play their roles in support. One of such initiatives is the Community-led Total Sanitation (CLTS), being implemented by the UNICEF in collaboration with the MLGRD in the Abura- Asebu-Kwamankese, Gomoa East, Ajumako-Enyan-Essiam, Asikuma- Odoben-Brakwa and Assin South Districts of the Region. The initiative is also being implemented in the Northern, Volta, Upper East and West Regions of the countries, a selection based on high incidence of Open Defecation. provision of latrines and frowns on communal latrines as a solution since their presence suppresses the zeal to invest in household toilets. In a presentation on the menace of OD in the country, a Communication Consultant for UNICEF, Mr. Emmanuel Addai, revealed that last year , Ghana placed second in the Cholera ranking in West Africa with 28,944 cases and 247 deaths. 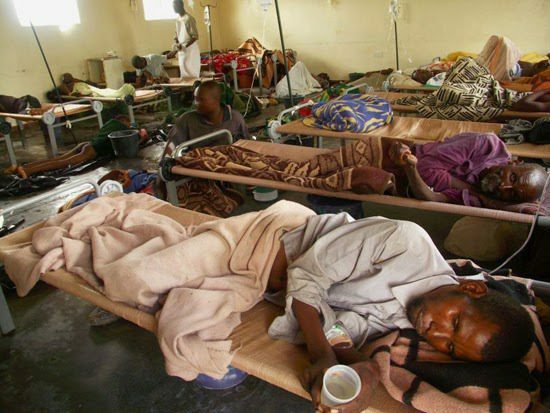 Nigeria took the lead with 35,946 cases and recorded 755 deaths with two cases and no death in Guinea Conakry, which was at the bottom of the ranking. Mr. Addai indicated that the country’s OD rate had reduced from 22 percent in 1990 to 19 percent in 2015, but described the reduction after 25 years as worrying, since the Millennium Development Goal target on OD was 11 percent. He stated that in the Ghana Statistical Service 2011 report, which is the most current, the Central Region, was ranked fifth in OD ranking with 14.8 percent rate as against the national average of 19 percent. Some of the challenges with the CLTS, Mr. Addai said included limited Government funding, stakeholder apathy, environmental factors, political interference and lack of political will to enforce sanitation bye laws. Madam Ama Kudom-Agyemang , UNICEF Water and Sanitation Health consultant who took participants through how to pitch and develop story ideas, urged them to investigate well and write compelling environmental stories to help change the current status quo. The October industry inflation rose 2.8 percent in October, down 2 percentage points relative to the 4.8 percent rise in September, the Ghana Statistical Service (GSS) said here on Wednesday. The monthly change rate was -0.7 percent compared with 2.1 percent monthly inflation rate recorded in September. With 28,944 cases and 247 deaths, Ghana followed Nigeria which took the lead with 35,946 cases and 755 deaths; while with two cases and no death, Guinea Conakry was at the bottom of the ranking. Mr Addai said this during a media training workshop held on theme: “Menace of Open Defecation (OD)”, organised by UNICEF and the Environmental Health Services Department of the Ministry of Local Government and Rural Development (MLGRD) in Cape Coast. He said the country’s OD rate had reduced from 22 percent in 1990 to 19 percent in 2015, and described the reduction, after 25 years, as worrying since the Millennium Development Goal target on OD was 11 percent. He said in the Ghana Statistical Service 2011 report, the Central Region was ranked fifth in OD ranking with 14.8 percent rate as against the national average of 19 percent. The workshop, attended by about 20 media practitioners from across the region, was aimed at building the capacity of participants. Held in line with World Toilet Day marked on November 19, the workshop was also to help community radio stations to create awareness on issues of open defecation in their communities. As part of efforts to ensure proper sanitation in the country, the UNICEF is supporting the MLGRD to implement an OD Free initiative dubbed Community-led Total Sanitation (CLTSO), in the Central Northern, Volta, Upper East and West Regions and Ashaiman in the Greater Accra Region. In the Central Region, the initiative is running in five districts including Abura- Asebu-Kwamankese, Gomoa East, Ajumako-Enyan-Essiam, Assin South and Asikuma-Odoben-Brakwa. Some of the challenges with the CLTS, Mr Addai said included limited Government funding, stakeholder apathy, environmental factors, political interference and lack of political will to enforce sanitation bye laws. Mr Martin Amevor, the Regional Environmental Health Service Officer, said less than five communities in the whole Central Region were OD free adding that the practice was one of the key sanitation problems in the region. He said efforts to enforce the sanitation bye laws especially on the prosecution of sanitation offenders was being hindered by political interference, citing an instance where a District Chief Executive paid court fines for 10 convicted sanitation offenders. Despite the challenges, he said efforts such as the Open Defecation free initiatives and other sanitation related programmes were being implemented in the region. Mrs Ama Kudom-Agyemang , UNICEF Water and Sanitation Health consultant, urged them investigate well and write compelling environmental stories to help change the current status quo. The CLTS focuses on a change from the open defecation as a norm to the use of toilets as a new norm; the concept also stresses on behavior change rather than the provision of latrines and frowns on communal latrines as a solution. He has therefore urged African countries to endeavour to take advantage of modern technology to improve on their mode of data collection, and the dissemination of timely and high quality data. Dr Wadie said this on Wednesday during the celebration of the African Statistics Day, which brought together statisticians in the country and was on the theme “Better Data for National Lives: Harnessing Modern Technology to enhance National Statistical System”. He extolled the importance of high quality data as it enables policymakers to formulate, monitor and evaluate policies in order to raise the living standards of their people. “New technologies and strengthened national statistical systems enable the development of informed policies and allow decision makers to take better, evidenced based decisions that positively impact on people’s welfare and eventually results in better lives,” he added. He lauded African counties for adopting the use of the geo-spatial technology as it had proved to be an effective tool for conducting census and survey, because it had desirable features with regards to data collection, storage, processing timeliness, coverage and dissemination. “Owing to the geographic nature of most census data, satellite imagery and maps are enhancing the methodology for conducting censuses and surveys in data collection and dissemination,” he said. He intimated that the Ghana Statistical Service (GSS) had since 2000 adopted the use of emerging technologies in their data collection in an effort to improve on its operations. He noted that since the 2000 Population and Housing Census, the Service had scanners to capture data from censuses and surveys in its mapping operations. He said the GSS had also started using hand -held devices known as Computer Assisted Personal Interviews (CAPI) in its data collection and had decided to use the technology to collect and process the 2020 Population and Housing Data. Dr Wadie indicated that as part of the on-going institutional reform programme of the Ghana Statistical Service, some staff of the GSS had been integrated into the MMDAs to handle the Ghana Statistics Development Project. He said the report of the Phase One of the Integrated Business Establishment Survey (IBES) and the Ghana Family Life Health Survey which was conducted in 2015 had been prepared and would be published soon. “Field work for the Phase Two of IBES has commenced and is expected to be completed in January 2016,” he added. He said such survey were meant to provide up-to-date data for evidence-based decision making by Government, the private sector, the academia, among others. Dr Joseph Kwadwo Asenso, Head of Energy, Oil and Gas Unit, Ministry of Finance and Economic Planning, noted that Ghana had over the years demonstrated its commitment to the GSS by providing it with the resources for the implementation of statistical activities such as conduct of sample surveys and censuses. Addressing the media after the 67th regular meetings of the MPC, Governor of the Bank of Ghana, Henry Kofi Wampah said this was necessary to avoid a prolonged era of high interest rates and high inflation. According to the Ghana Statistical Service (GSS), inflation stabilized at 17.4 percent in October, same as in September and up from 17.3 percent in August, indicating a moderation in price movements over the past three months. There have been concerns that the further increase in MPR would not only make the cost of credit for businesses go up, but also subdue economic growth prospects, stressing that the bank would start reducing the policy rate as soon as the inflationary pressures ease, and the currency depreciation is dealt with. He however noted that it provided the country with fiscal space to set the path to positive growth. “In contrast with the HIPC experience, it is relieving for this Government to be leading the development agenda that has restored our pride of place among the Africa rising and renaissance nations”, Mr Terkper said when he presented the 2016 budget statement in Parliament in Accra. He noted that recent setbacks from commodity price shocks did not make Ghana reverse its course on consolidation even as it reminded the nation of its vulnerable status. “We are returning to another growth path and our fiscal performance so far clearly shows that we can plan to manage and reverse periodic setbacks as and when they occur,” he said. The Finance Minister noted that the nation’s resolve was to manage the transition setbacks and paradoxes with perseverance and effective planning. “Consequently, we now see brighter prospects ahead mainly from the investments that we have been making in the energy and other sectors of the economy. He indicated however that the macroeconomic successes the country had chalked since it began the programme of fiscal consolidation under the home-grown policies and the IMF programme would not make her complacent. “There is a clear sign that our fiscal consolidation efforts are yielding positive results, making the economy more efficient”, he emphasised. Accordingly, the Ghana Statistical Service (GSS) estimates that GDP will grow at 4.1 per cent at the end of 2015, as against the 3.5 per cent initially projected. The Finance Minister said as a result of good revenue performance, including GRA’s Compliance efforts, containment of overruns in the wage bill and other spending, as well as withdrawal of energy-related subsidies, the country’s fiscal consolidation programme was on course with the deficit set to be on target at 7.3 per cent. “For the first time in many years, the domestic primary balance in the first half of 2015 achieved a surplus equivalent to 2.8 per cent of GDP, whilst the budget deficit was down to 2.3 per cent of GDP, same as the level attained a decade ago. “The current account deficit as a percentage of GDP has stabilized whilst the foreign reserve position has significantly improved in line with Government’s Medium Term Debt Strategy and Debt Management policies”, he stated. The Finance Minister noted that Ghana was leading its contemporaries in using a guarantee instrument that the World Bank wanted to use to create an asset class for market assets by middle income countries. “After some initial implementation difficulties, we are now on course to making the proceeds from commercial and quasi commercial projects pay fully or partially for the loans that finance them. 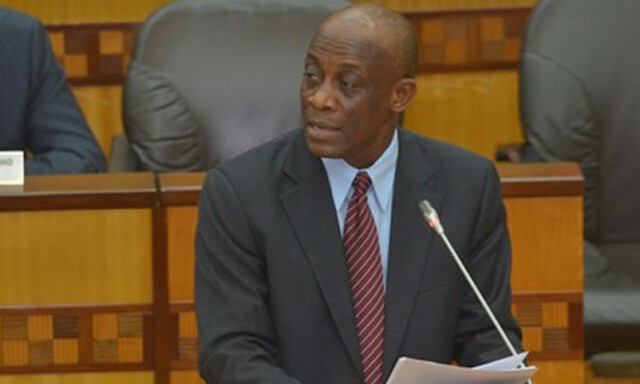 “This will stop the unsustainable habit of relying on the tax payer to pay for all the nation’s debt service commitments, and against this background Ghana successfully went through the first performance review in August 2015 under the three-year Extended Credit Facility (ECF) with the IMF”, Mr Terkper added. He said all performance criteria under the programme for the second review were also successfully met and documentation was being prepared for the IMF Board to complete the review in December 2015. “We have made far-reaching and significant investments in all sectors of the economy and these have led to considerable improvements in the lives of our people”, he declared. The monthly change rate for the period under review was 2.7 percent relative to the -0.1 percent recorded in the previous month. Year-on-year food inflation rate for October 2015 was 7.8 percent, just as was recorded in September, according to the Government Statisticians Philomena Nyarko. “Non-food inflation rate however reduced by 0.2 percentage points to 23.0 percent in the month under review, relative to the 23.2 percent for September,” the Government Statistician added. While inflation rate for imported items went up to 18.6 percent in October 2015 relative to the 17.4 percent in September, that of locally produced items tumbled to 16.9 percent in October 2015, relative to 17.3 percent in September. The main price drivers for food inflation rate in the month under review were Vegetables (3.6 percent); and the Mineral water, soft drinks, fruits, and vegetable juicies group (8.5 percent). For the non-food group, price drivers in October were Recreation and Culture (29.9 perxent);Education (28.8 percent); Transport (25.7 percent); as well as Clothing and footwear (24.5 percent). The other price drivers for the non-food group are Furnishings, household equipment; and routine maintenance (24.5 percent); as well as Housing,water, electricity,gas and other fuels (23.1percent). The integration forms part of the on-going institutional reform programme of the Service which is undertaken with support from the Statistics for Results Facility Catalytic Fund and the International Development Association under the World Bank. Mr Collins Dauda, Minister of Local Government and Rural Development, said the integration was part of government’s decentralization programme and was carved out of the wider Ghana Statistics Development Project implemented by 10 Ministries, Departments and Agencies. He said the integration was also to strengthen the national statistical system which comprises of data suppliers, producers, users, research and training institutions and development partners and ensure that relevant and quality statistics are produced on a timely basis. The Minister said the Local Government Commencement Instrument, 2009 (LI1961) enjoins district assemblies to have statistics as a unit within the central administration. He urged the newly-transferred staff to overcome any obstacles that might come on their way and work diligently to ensure credible and reliable data for decision-making. Dr Philomena Nyarko, Government Statistician, noted that statistics are indispensable for good governance and constituted a key element in the development planning process, adding that reliable and timely statistics are the basis for sound and effective decision-making. She said the Service had in collaboration with development partners and staff of the district assemblies produced district census analytical reports for the 2016 for the Metropolitan, Municipal Districts Assemblies, following the 2010 Population and Housing Census. Dr Nyarko said the integration process started in April 2011 with series of meetings and consultations with the Ministry of Local Government and Rural Development. She noted that a sensitization workshop was organized in August 2014 for the staff to be integrated to equip them with a comprehensive understanding of the district assembly system, mandate, processes and procedures to ensure efficiency and effectiveness of work. The newly-transferred staffs were presented with certificates for their dedication and loyalty to the service over the period of service. The Monthly Change rate for September 2015 however recorded an appreciation to 1.1 percent from the revised -3.8 percent for the previous month. Philomena Nyarko, government statistician, told the media that although utilities recorded a 1.2 percentage point reduction to 7.2 percent inflation in September, relative to the 8. 4 percent in August, it still recorded the highest inflation in all industry. Mining and quarrying decreased by -3.8 percentage points in September 2015 to record an inflation rate of -1.2 percent, relative to the 1.7 percent for August. “However, the manufacturing sector was the only one that recorded an increase of 0.8 percent to record an inflation rate of 4.3 percent relative to the 3.5 percent for August,” the Government Statistician said. On why the PPI fell from a height of about 48.3 percent in August last year to as low as 3.7 percent last month, Nyarko explained that the collapse of commodity prices on the global stage was the main factor. Ghana’s PPI is heavily influenced by mining and quarrying as gold constitutes nearly 88 percent of the mining sector, hence the fortunes of gold prices on the global stage influences the pattern of the PPI locally. He was speaking Monday on Adom FM?s ?Burning Issues? Programme. His comment follows the picketing of hundreds of the Ghana Nurses and Midwife Trainees Association (GNMTA) members at the Flagstaff House Monday. The GNMTA members say although they have completed their studies, they are yet to be posted. They say the Ministry of Health has failed to give them a reason for delays in their postings. Over 70 graduates drawn from the various campuses of the Ghana School of Hygiene on Monday also besieged the premises of the Ministry of Local Government and Rural Development to demand postings to various health facilities across the country. The graduates say they have not been posted since 2011 and have vowed to keep picketing at the Ministry?s premises until government announce their postings. 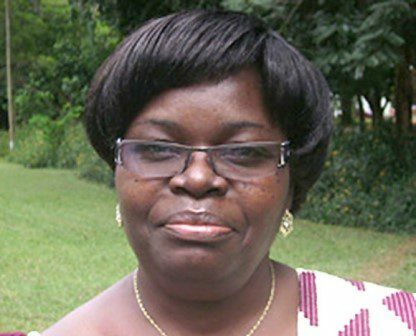 Professor Felix Asante programme host Afia Pokua that the plight of the picketing graduates and nurses is the same for scores of youth in the country. The ISSER director said huge numbers of unemployment in the country is a function of government?s poor financial standing. 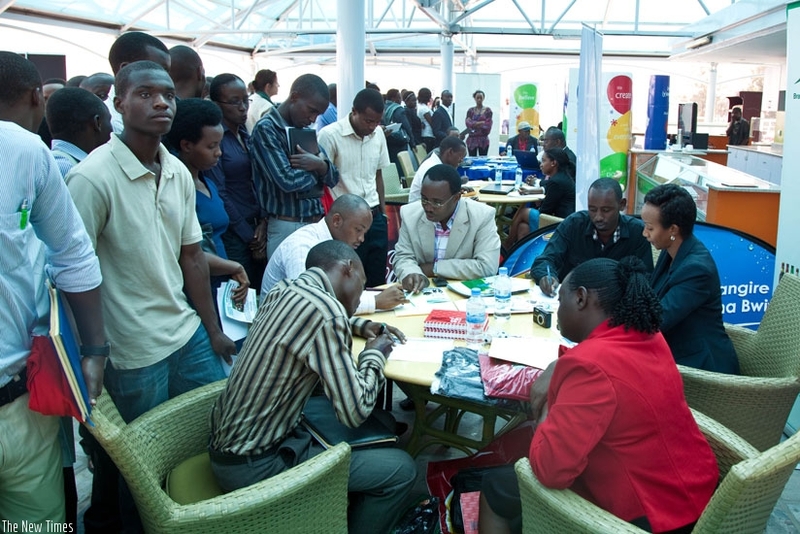 2014 unemployment figures by the Ghana Statistical Service (GSS) said youth unemployment rate was 5.5 percent. 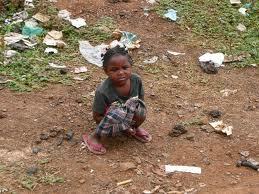 ?Government must sit up to fix the challenges facing the people,? ISSER Director said. He said health workers and skills of the graduates are needed in both in the urban and rural areas and urged government to find a way to put them to work. ?I think it?s about time policy makers create enough space for young entrepreneurs with brilliant ideas? Professor Felix Asante emphasized. Prof. Asante said the agitations by the youth shows that they are frustrated. He said government must sit up and find lasting solutions to the rising unemployment situation in the country. Without oil resources, the economy will grow at an estimated rate of 4.2 percent, Baah Wadieh, Deputy Government Statistician, said here Friday. Although the GSS had estimated the GDP growth rate last month at 4.1 percent, government’s supplementary budget statement later reduced the estimates to 3.5 percent, based on the low performance of oil prices on the global market. Releasing the second quarter Gross Domestic Product (GDP) estimates here on Friday, the statistician said investment expenditure grew by 3.3 percent in 2014, while net exports of goods and services contracted by 42.3 percent. “The provisional current annual GDP estimate (including oil) for 2015 is 140.0 billion Ghana Cedis or 36.84 billion U.S. Dollars. The revised annual estimate for 2014 is 113.3 billion Ghana cedis (29.81 billion dollars),” Wadieh stated. While the agriculture sector remained flat, the Industry sector grew 9.1 percent in 2015, compared with the 0.8 percent growth experienced a year earlier. The performance of the services sector dipped to 4.7 percent, relative to the 5.6 percent growth recorded last year. For the sectoral growths, the statistician noted that finance and insurance (52.7) for services; and construction (45.1 percent) for Industry, were the major influences on the estimates. In addition, public administration, defense and social security grew at 20.5 percent; information and communication recorded 18. percent growth; health grew at 16.9 percent; while water and sewerage grew at 10.9 percent. 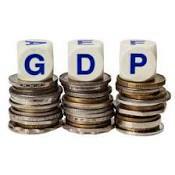 The growth rate for GDP for 2014 was 4.0 percent, compared with 7.3 percent growth recorded in 2013. The provisional year-on-year quarterly GDP growth rate for the second quarter of 2015 was 3.9 percent, compared with a revised rate of 4.3 percent for the first quarter of 2015. Relative to the 2.3 percent recorded in July 2015. the month-on-month inflation rate in August 2015 also slid to -0.7 percent. Government Statistician Philomena Nyarko told the media that the food inflation for the month under review inched up by 0.1 percentage point to 7.7 percent, compared to the 7.6 percent recorded for the previous month. “The non-food inflation rate for August 2015 was 23.4 percent, compared to 24.6 percent recorded in July 2015,” she added. While inflation rate for imported items was 18.1 percent in August 2015, compared with 21.2 percent in July 2015. For non-food inflation, the main price driers are recreation and culture (25.8 percent), education (25.6 percent), transport (25.3 percent) and clothing and footwear (25.1 percent). The rest were furnishings, household equipment and routine maintenance (24.9 percent); and housing, water, electricity, gas and other fuels (23.5 percent). Year-on-year inflation rate in July rose to 7.9 percent in Ghana relative to the 7.1 percent recorded in June, the Ghana Statistical Service (GSS) announced here on Wednesday. Ghana’s inflation basket has two main components of food and non-food, with the food component having 44.9 percent share in the basket, and the non-food 55.1 percent. While food inflation rate for July 2015 was 7.6 percent, compared with 7.4 percent in June, non-food inflation for the same month was 24.6, compared with 23.6 percent in June. The inflation rate for imported items remained flat at 21.2 percent in July, the same as in June, while that for locally produced items was 17.0 percent in July, compared with 15.5 percent recorded in June. The main “price drivers” for the non-food inflation rate were housing, water, electricity, gas and other fuels (27.1 percent); transport (25.7 percent); recreation and culture (25.5 percent); clothing and Footwear (24.9 percent); and furnishings, household equipment and routine maintenance (24.9 percent). On the other hand, the main price drivers for the food inflation were mineral water, soft drinks, fruit and vegetable juices (14.5 percent); coffee, tea and cocoa (14.3 percent); and food products n.e.c. (13.9 percent). The rest are sugar, jam, honey, chocolate and confectionery (13.8 percent); meat and meat products (11.6 percent); milk, cheese and eggs (9.6 percent); and vegetables (9.3 percent). “Limited harvest due to lower rains have contributed to the rise in food inflation at this time and so while non-food inflation was rising, food inflation was also rising so there was a double inflationary factor in July,” Philomena Nyarko, Government Statistician, explained. She added that the lower and unreliable rains during the year were responsible for the lower harvest the country was experiencing. “While this rainfall pattern was good for fruits and vegetables, it was not conducive for the main staples such as maize, cassava, and yam,” she added. The Ghana Statistical Service reported here on Wednesday that year-on-year inflation rate for June 2015 was 17.1 percent, relative to the 16.9 percent recorded for the previous month. The monthly change rate in the month under review was also 1.8 percent while that for May 2015 was 1.0. Philomena Nyarko (Ph. D), Chief Statistician for the country, who disclosed this to the media, added that the year-on-year non-food inflation rate for June 2015 was 23.6 percent, compared with the 23.4 percent recorded a month earlier. ?Food inflation for June 2015 was 7.4 percent, compared with the 7.3 percent recorded for May 2015,? she stated. According to her, the year-on-year inflation rate for imported items at 21.2 percent for June 2015 was about 1.4 percent times higher than 15.5 percent inflation rate recorded for locally produced items. Four regions (Central, Ashanti, Volta, and Upper East) recorded inflation rates higher than the national average of 17.1 percent. ?The main price drivers for the non-food inflation rate were transport, with 25.5 percent; housing, water, electricity, gas and other fuels, with 24.8 percent inflation; education, with 24.6 percent inflation; as well as clothing and footwear, with inflation rate of 24.3 percent,? Nyarko disclosed. For food inflation, the price drivers for the inflation rate were coffee, tea and cocoa, with 17.1 percent inflation; mineral water, soft drinks, fruit and vegetable juices, with an inflation rate of 16.2 percent; sugar, jam, honey, chocolate and confectionery, with 15.2 percent; and food products not elsewhere classified( n.e.c. ), with an inflation rate of 14.9 percent. Other price drivers for food inflation were meat and meat products, with 13.9 percent inflation; milk, cheese and eggs, with inflation rate of 12.3 percent; as well as cereals and cereal products, at 8.3 percent. The Chief Statistician averred that the sharp depreciation of the local cedi currency in the month of June was partly responsible for the high inflation rate recorded by imported items. The local cedi currency had depreciated close over 25 percent half-year till June 30, selling at one U.S. dollar to 4.4 cedis but has firmed up again over half of July to sell at one dollar to 3.3 cedis. ?But the exchange rate is not the only factor since the increased cost of transportation also affected prices since both imported and locally produced items have to be transported at a higher cost,? the statistician explained. Enditem. The rate of increase in the prices of goods and services at the factory gate or the Producer Price Index (PPI) went up 0.3 percentage points to record an annual industry inflation rate of 19.5 percent in April, relative to the 19.2 percent recorded in March, the Ghana Statistical Service announced here on Wednesday. The month-on-month change in producer price index between March and April 2015 was 2.8 percent, compared to the 0.9 percent recorded for the period between February and March, Philomena Nyarko, Government Statistician, told the media. The PPI for Ghana relates prices in a particular month to those of the base period, September 2006. Mining and quarrying sector, with 13.97 percent share in all- industry, recorded the highest inflation of 27.1 percent in April 2015 having moved up 4.2 percentage points over the March 2015 rate of 23.0 percent. Manufacturing, which constitutes more than two-thirds (69.75 percent) share of all-industry, decreased by 2.3 percentage points relative to the 19.0 percent in March to record 17.0 percent inflation for April 2015. Year-on-year inflation rate for April 2015 rose 0.2 percentage points to 16.8 percent, compared to the 16.6 percent recorded in March, the Ghana Statistical Service (GSS) announced here on Wednesday. Government Statistician Philomena Nyarko said food inflation remained flat at 7.2 percent as it was in the previous month, while non-food inflation rose to 23.2 percent, relative to 23.1 percent in March. “The non-food products inflation rate of 23.2 percent was more than three times higher than the food inflation of 7.2 percent,” Nyarko noted. The year-on-year inflation rate for imported items was 19.7 percent in April relative to the 21.3 percent recorded in March, while the year-on-year inflation rate for locally produced items was 15.6 percent in April, relative to the 14.9 percent recorded the previous month. “The main price drivers for the non-food inflation rate were the housing, water, electricity, gas and other household items group (25 percent); transport (24.5 percent); and clothing & footwear group (23.7 percent),” Nyarko said. Price rise for the industry sector declined 2.7 percentage points to 19.1 percent year-on-year for March 2015, compared with the 21.8 percent year-on-year growth the previous month, according to the Ghana Statistical Service (GSS). Government Statistician Philomena Nyarko (Ph D), who disclosed this here on Wednesday, said the month-on-month rate for the month under review was 0.8 percent, an increase of 0.6 percentage points relative to the 1.4 percent recorded for the month of February. ?Although the mining and quarrying sector, with 13.97 percent share in all-industry, recorded the highest inflation of 23.0 percent, the rate represented a decline of 6.3 percentage points in March 2015, relative to the 29. 3 percent recorded in February,? said Nyarko. In the same vein, manufacturing, with 69.75 percent share of all-industry, recorded 2.5 percentage points drop in inflation for March 2015 to record 19.0 percent inflation, relative to the 21.5 percent inflation it recorded the previous month. Utilities, with 16.28 percent share of all-industry, on the other hand, saw a marginal increase from 15.7 percent inflation for February 2015 to 15.8 percent for March. ?Mining and Manufacturing dropped significantly during the month under review and so although Utilities increased marginally, the fall in Mining & Quarrying and Manufacturing caused the decline in inflation,? the Government Statistician explained. Edward Afram-Asuo, head of Economic Statistics at the GSS, explained that since gold accounted for a majority of the mining sector, lower prices for gold on the world stage affected the output of the mining and manufacturing sector. The country?s returns on gold for 2014 declined 10 percent to 4.5 billion U.S. dollars, relative to the 5.0 billion dollars realized in 2013. ?Since the manufacturing sector also contains petroleum prices, the slight drop in the prices of petroleum products this year affected output for Manufacturing, hence the lower inflation for that sector also,? he explained. The inflation rate in the petroleum sub-sector was 44.7 percent in March 2014. The rate started rising in April 2014 to record 48.2 percent in May 2014, according to data from the GSS. Filed under: 19.1 pct, 19.1 percent in Ghana, 2.7 percentage points, 2015 producer inflation, Accra, April 29, Edited, Ghana, Ghana Statistical Service, Government Statistician Philomena Nyarko, GSS, Justice Lee Adoboe, March, March 2015, March 2015 producer inflation slows, Ph.D., PPI, Price rise, Producer Price Index, Ray Ankomah, SLOWS, Xinhua, Year-on-Year? The value of Ghana?s economy grew to 112.6 billion Ghana cedis or 31.2 billion U.S. dollars at current price in 2014, relative to the 93.4 billion cedis or 25.9 billion dollars for the previous year, the Ghana Statistical service (GSS) announced here on Wednesday. In constant terms, the value of the economy, including oil production, was 33.5 billion cedis or 9.3 billion dollars in 2014, relative to the value of 32.2 billion cedis or 8.9 billion dollars for the previous year. This growth represented a 4.0 percent growth in the year-on-year Gross Domestic Product (GDP) for the year under review, relative to the 7.3 percent final growth figure for 2013 issued by the GSS. The overall GDP growth for 2014 released in the provisional estimates in January was also 4.2 percent, compared with the 4.0 percent in the revised estimates issued here on Wednesday. The year-on-year quarterly GDP growth rate for the fourth quarter of 2014 was 4.6 percent, compared with a rate of 2.7 percent recorded for the fourth quarter of 2013. ?However, the quarter-on-quarter GDP growth rate (seasonally adjusted) recorded for the fourth quarter of 2014 was 1.2 percent relative to the 2.6 percent recorded for the third quarter of 2014,? 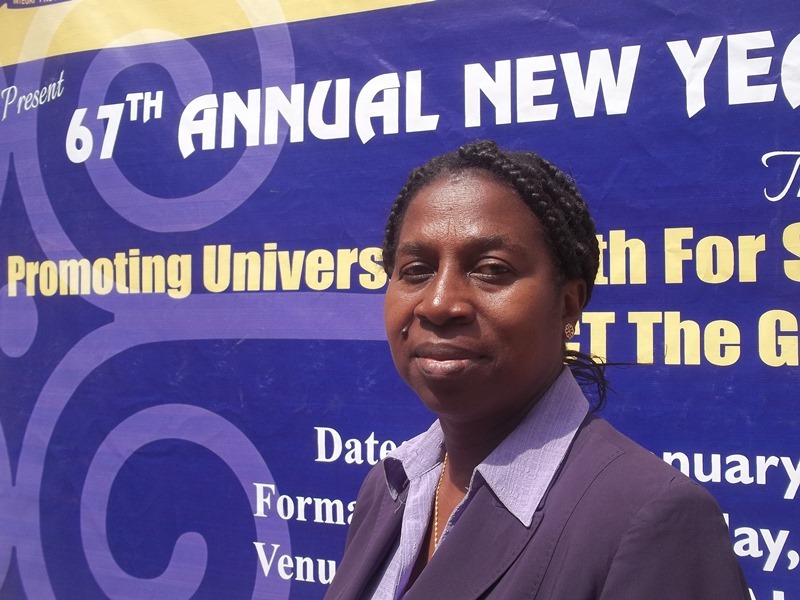 Philomena Nyarko (Ph D), the Government Statistician, announced. While the growth rate for agriculture in 2014 was 4.6 percent, compared with the 5.2 percent in the provisional estimates released in January, industry grew by 0.9 percent in the current release relative to the 3.9 percent given in January. Services remained the highest growing sector with 5.7 percent growth in the revised estimates in April, relative to the 4.1 percent provisional estimates given in January. Nyarko explained that the energy crisis and hikes in the exchange rate conspired to make things difficult for economic activities in the year under review. ?We compared the 2013 results to that of 2012, while comparing 2014 to that of 2013. The lower percentage growth in 2014, in spite of its higher value relative to the 2013 figure, is the result of the base-drift effect,? she stated. Sampson Akligoh, Chief Executive Officer (CEO) of Investcorp, a local investment banking firm, commented that the GDP figures were explained by the tight fiscal and monetary policy stance over years, and how business activity was being hampered by electricity supply disruptions. The year-on-year inflation rate stood at 16.6 per cent in January, up by 0.1 percentage points from 16.5 per cent recorded in February, the Ghana Statistical Service announced on Wednesday. Mr Baah Wadieh, the Deputy Government Statistician, who announced this at a media briefing in Accra on Wednesday, said the monthly change rate for March was 1.0 per cent, compared to 1.2 per cent recorded for February 2015. Mr Wadieh said the food inflation rate for March was 7.2 per cent compared with 7.0 per cent in February. The non-food inflation rate for March stood at 23.1 per cent, up marginally from 23.0 per cent recorded in February. ?The year-on-year non-food inflation rate is more than three times higher than the food inflation rate,? Mr Wadieh said, adding that inflation rate for imported items which was 21.3 per cent is about one and half times higher than the inflation rate for locally produced items at 14.9 per cent. He said the main drivers for the non-food inflation rate were housing, water, electricity, gas and other fuels, which stood at 26.2 per cent and transport at 25.8 per cent. The Central Region recorded the highest regional year-on-year inflation rate of 19.2 per cent, while the Brong-Ahafo Region recorded the lowest of 14.3 per cent. Three regions, namely, the Central, Volta and Ashanti recorded inflation rates above the national average of 16.6 per cent. Filed under: 16.6 per cent, Baah Wadieh, cocoa, fruits, Ghana Statistical Service, inflation rate, Mineral water, regional year-on-year inflation rate, soft drinks, Stood, the Deputy Government Statistician, vegetable juices, Year-on-Year? The rate of price increase for consumer goods inched up by 0.1 percentage point to record 16.6 percent inflation for March 2015, relative the 16.5 percent recorded for February 2015, the Ghana Statistical Service (GSS) said here on Wednesday. The monthly change rate for March 2015 was 1.0 percent, compared with the 1.2 percent monthly change rate for the previous month, according to the official agency in charge of measuring the country’s performance in various sectors. “While food inflation rate for March 2015 was 7.2percent, compared with 7.0 percent recorded in February 2015, the non-food inflation rate for March 2015 was 23.1 percent, compared with 23. 0 percent recorded in February 2015,” Baah Wadieh, Deputy Government Statistician, told the media. The inflation rate for imported items which was 21.3 percent is about one-and-a-half times higher than that for locally produced items, which recorded an inflation rate of 14.9 percent. Within the food group, seven sub-groups recorded inflation rates higher than the group average of 7.2 percent. Some of these are the mineral water, soft drink and fruit juices sub-group(17.4 percent); coffee, tea and cocoa (16.6 percent); food products not elsewhere classified (16.0 percent); sugar, jam, honey, chocolate and confectionery (14.5 percent); as well as meat and meat products (13.5 percent). The rest are milk, cheese and eggs (13.4 percent); as well as cereal and cereal products (7.8 percent). Within the non-food group, two sub-groups recorded inflation rates higher than the group average rate of 23.1 percent. These are housing, water, electricity, gas and other items (26. 2 percent); and transport (25.8 percent). “Since inflation for imported food items was far higher than that of locally produced food items, the impact of the depreciation of the cedi could be seen as part of the factors of the development in inflation,” Wadieh stated. The Ghana Statistical Service (GSS) is admitting putting up erroneous data after NPP Vice Presidential aspirant criticized government’s handling of the economy describing it as undisciplined and incompetent. GSS is therefore challenging him over questions raised about inflation figures released by the institution. At a news conference in today , Government statistician, Dr. Philomena Nyarko says there were rather serious issues with figures put out by the former deputy governor of the Bank of Ghana. She said the Service is unaware of how the Ministry of Agriculture came by the figures Dr Bawumia mentioned in his speech. ?I don’t know where they are getting the figures to compare with ours. We have a laid down procedure ? a methodology, for collecting our information and I don’t know how the Ministry of Agric collects their information.? We will also contact the Agriculture Ministry to find out the methodology they used and how they came about their figures, she added. 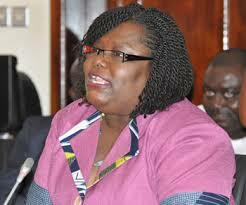 She also raised doubts on the figures mentioned by Dr Bawumia concerning the price of certain food items. ?When you look at the speech, the figures quoted for the same items are different so even in that speech there are inconsistencies in the figures quoted. We can’t just get up and compare prices.? In a related development, Ghana’s annual producer price inflation slowed to 21.8 percent in February from a revised 23.6 percent year-on-year the month before, driven by declining prices of gold and refined petroleum, the national statistics office said on Wednesday. The figure, which is high compared to average inflation in the region, is an indication of fiscal challenges facing the West African country. Ghana has reached an agreement with the International Monetary Fund for a $940 million aid package to stabilise an economy dogged by deficits and widening debts. The statistical office said producer inflation for the Mining and Quarrying sub-sector decreased by 7.1 percentage points, driven by gold prices. Manufacturing, which comprises petroleum refining, fell one percentage point. “Overall, the pull-down factors in the producer index for all industry in February were declining gold prices and a decrease in the cost of refined petroleum,” the government statistician said. The month-on-month change in PPI between January and February was 1.4 percent, Dr Nyarko revealed. Producer price inflation is an advance indicator of consumer price inflation which inched up to 16.5 percent February, from 16.4 percent the month before. The average rate of price changes at the factory gate fell again by 1.8 percentage points in February, resulting in a year-on-year industry inflation rate of 21.8 percent, relative to the 23.6 percent recorded in January, the Ghana Statistical Service (GSS) said here on Wednesday. The monthly change rate was 1.4 percent for the month under review, relative to the -1.3 percent recorded for January. Philomena Nyarko, government statistician, told the media here that producer inflation for the mining and quarrying sub-sector, with 13.97 percent share in all-industry, experienced the sharpest drop of 7.1 percentage points to 29.6 percent, relative to the 36. 4 percent recorded in January 2015. She attributed this to the continued tumbling of gold prices on the global stage. The West African country is the second largest exporter of gold in Africa after South Africa. “Pull-down effects in the producer index for all industry in February were declining gold prices and a decrease in the cost of refined petroleum,” Nyarko explained. Manufacturing, the largest industry sub-group with 69.75 percent share of all- industry, which contains refined petroleum products, also dropped by 1.0 percentage point to 21.6 percent during the month under review, relative to the 22.6 percent for the previous month. Utilities, with 16.28 percent share of all-industry, recorded an inflation rate of 15.7 percent in February 2015, suggesting 0.1 percentage point decrease over the January 2015 rate of 15.8 percent. Average rate of price changes at the factory gate fell again by 1.8 percentage points in February resulting in a year-on-year industry inflation rate of 21.8 percent, relative to the 23.6 percent recorded in January the Ghana Statistical Service (GSS) said here on Wednesday. Philomena Nyarko, Government Statistician told the media here that producer inflation for the Mining and Quarrying sub-sector with 13.97 percent share in all-industry, experienced the sharpest drop of 7.1 percentage points, to 29.6 percent, relative to the 36. 4 percent recorded in January 2015. She attributed this to the continued tumbling of gold prices on the global stage as the West African country is the second largest exporter of gold in Africa after South Africa. ” Pull-down effects in the producer index for all industry in February were declining gold prices and a decrease in the cost of refined petroleum,” Nyarko explained. Manufacturing, largest industry sub-group with 69.75 percent share of all industry, which contains refined petroleum products , also dropped by 1.0 percentage point to 21.6 percent inflation during the month under review, relative to the 22.6 percent for the previous month. Utilities, with 16.28 percent share of all industry, recorded an inflation rate of 15.7 percent in February 2015, suggesting 0.1 percentage point decrease over the January 2015 rate of 15.8 percent. Phone call and other mobile services rates are expected to go up sooner or later, the Chief Executive Officer of MTN Ghana, Serame Taukobong has said, indicating that, low tariff regime may not be sustainable any longer for the telecom industry due to ever-increasing operational cost. ?Ghanaians have enjoyed lower tariffs for a number of years but you cannot do that forever,? Mr. Taukobong told senior media practitioners at Editors Forum? organized by his outfit in Accra last week. Telecommunications companies in the country have for a while now been raising flags about their dwindling profit margins in the face of soaring operational cost, a phenomenon which is crippling their existence. Key among the challenges are unstable power supply, depreciating cedi, SIM Box fraud, multiple taxes and what is described as unfriendly regulations by the industry regulator. Ghanaians have no doubt experienced some rough times in telecoms service quality, just like that of electricity and water, and yet tariffs for those two utilities continue to increase at an increasing rate regularly, while the telecom sector maintains stable tariffs largely due to competition. On a number of occasions, prices of telecom services came down in some case as service providers embarked on several promotions to excite existing customers and to win new customers.? The telcos continued to absorb some costs such as communication service tax, MNP cost and other ever-increasing operational cost elements on behalf of their customers. In 2012, for instance, Ghana?s telecom sector recorded an average of 0.4% inflation rate, which was the lowest for all sectors according to the Consumer Price Index (CPI) from Ghana Statistical Service (GSS) ending December 2012. The Chief Executive Officer of MTN Ghana said there shall be price increases in the products and services offered by telecommunications companies in Ghana sooner or later if the aforementioned challenges are not addressed. Mr. Taukobong mentioned the unstable electricity supply across the country, which compelled the company to run its equipment on generating sets and inverters at a high cost. ?We buy more than two million liters of fuel per month to power our generators comparing. If we do not ensure continuous running of these equipment, it will impact our service delivery negatively and we do not want our customers to experience that,? he said. On SIM Boxing, Taukobong said his outfit lost as much as $800,000 a month. According to him, apart from this being a loss to the company, the government was also losing heavily in terms of taxes. On depreciating of the cedi, the CEO of MTN Ghana said the charges for the services rendered by his outfit were in the local currency while most of the inputs to run effectively were imported and noted that with the cedi falling again, the company required more local currency to convert into dollars to acquire inputs to run the business. Presently, the cedi is trading at GH?3.6 to US$1 at the interbank level and slightly more than that on the black market. He said the company?s total payments to the state amounted to GH?605 million in 2014. On the company?s investments, he said MTN had allocated GH?460 million to deal with network and IT investments, with about 90 per cent of the IT investment portfolio already underway. This year, he said the company would improve its strategic partnerships and support data growth while expanding the customer satisfaction index. He added that the company would also ensure value driven and segmented offerings while streamlining distribution network, saying ?we will make the financial services and mobile money a priority.? Consumer Price Index (CPI) inched up by 0.1 percentage point to record 16.5 percent relative to the 16.4 percent recorded in January, the Ghana Statistical Service (GSS) announced here on Wednesday. The monthly change rate for the period between January 2015 and February 2015 was also 1.2 percent, compared with the 3.4 percent recorded for the period between December 2014 and January 2015. Food inflation, according to Philomena Nyarko, Government Statistician, also recorded a 0.1 percentage point rise to record 7.0 percent in the month under review, relative to the 6.9 percent recorded a month earlier. ?The non-food group on the other hand recorded a year-on-year inflation figure of 23.0 percent, same as it recorded in January,? Nyarko disclosed. Regional inflation ranged from a low of 13.3 percent to a high of 16.5 percent, with Northern Region equaling the national average of 16.5 percent, according to the statistical authorities. Price drivers for the food inflation, according to the Government Statistician, were local staples, which have seen some prices inching up as Ghana enters the planting season. Traditionally, the planting season ushers the West African country into the period of food scarcity and its attendant high prices.